Wow, that's a big transformer! 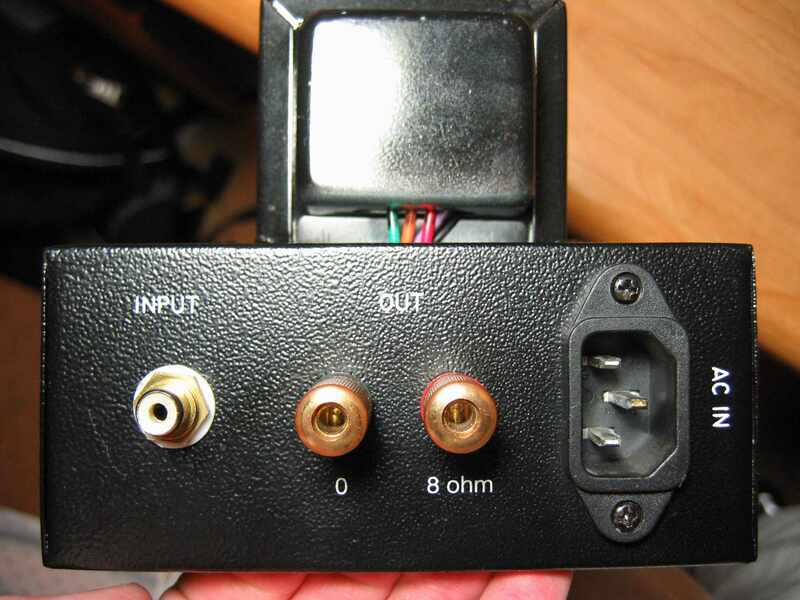 Not exactly impressive, but my built-in-a-plastic-Hammond-box version of Pete Millet's low-voltage, hybrid tube/ss headphone preamp turned out pretty cute, IMNSHO. I used a blue LED in this one 'cause... well... I like blue. T.V. 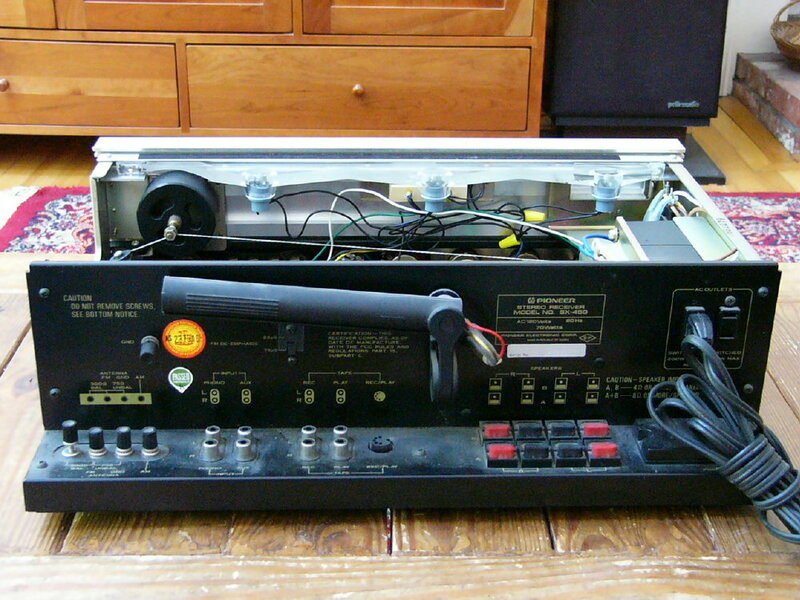 : Sony KDL-52XBR4 w/Vans Evers Clean Line Jr.
Umm, how about the early solid state Marantz eighteen receiver? Not mine, unfortunately. 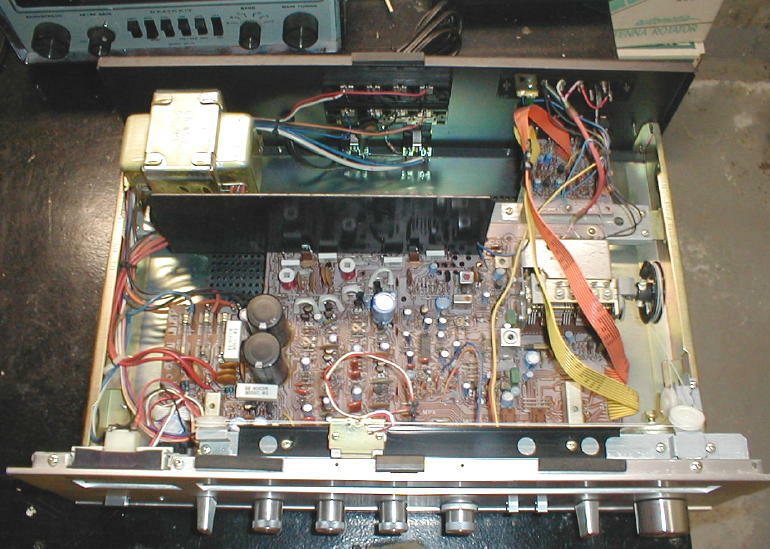 Yamaha CA-800 integrated amp (also, sadly, not mine). Beefy. 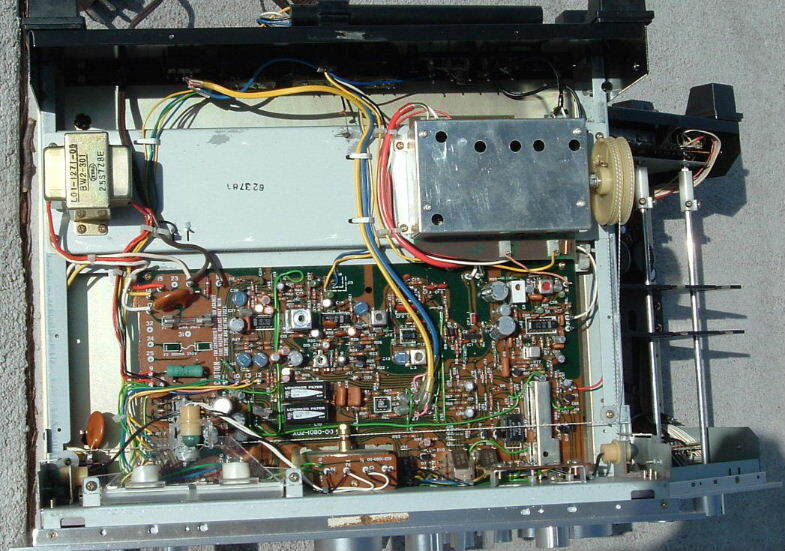 Kenwood KA-7100 and KT-7500. Mid-line SS separates ca. 1977. I have a KA-7100, but this ain't it. 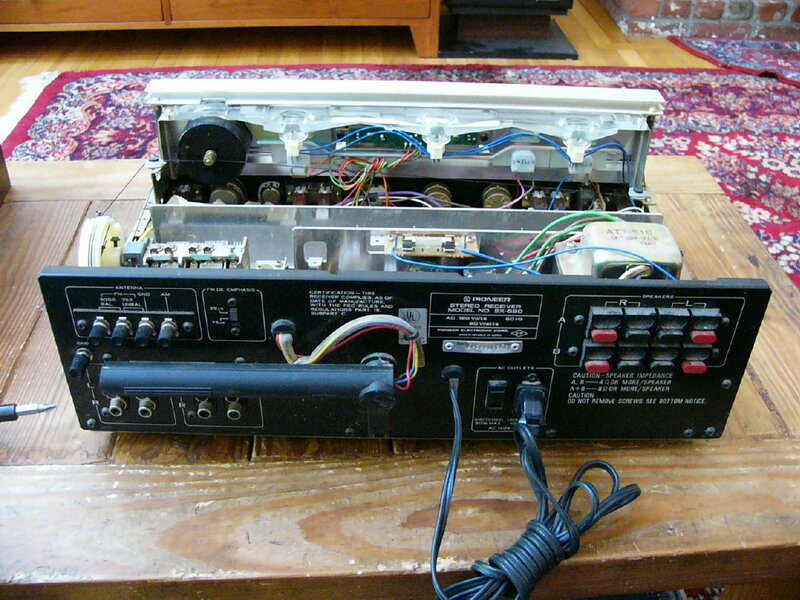 Yamaha's TOTL (ever) receiver, the CR-3020. Never seen one of these in the flesh; they're not common. well, here's something you'll not see every day. The innards of a Philips GA-212 belt-drive tt. 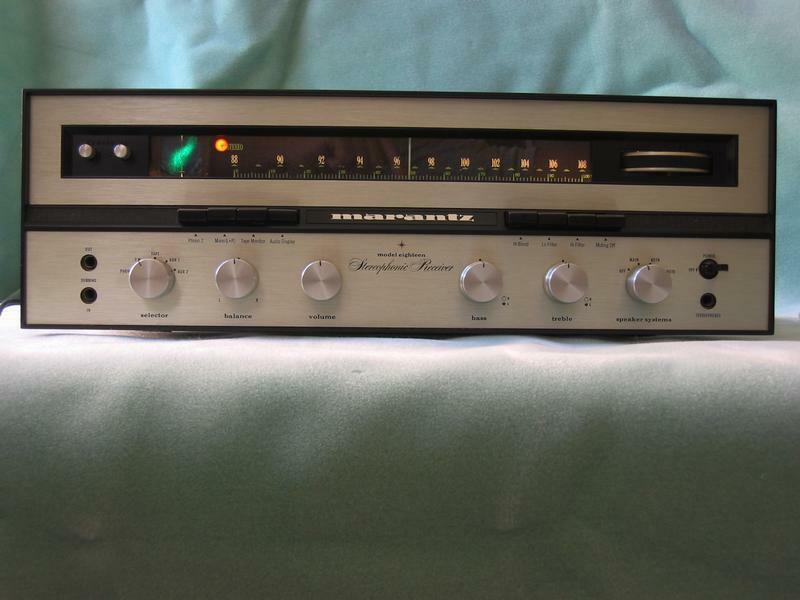 These were very popular in the mid-1970's, at least in MD, and were frequently found in the company of Yamaha or hk receivers or amps and Polk Monitor 7's or 10's. 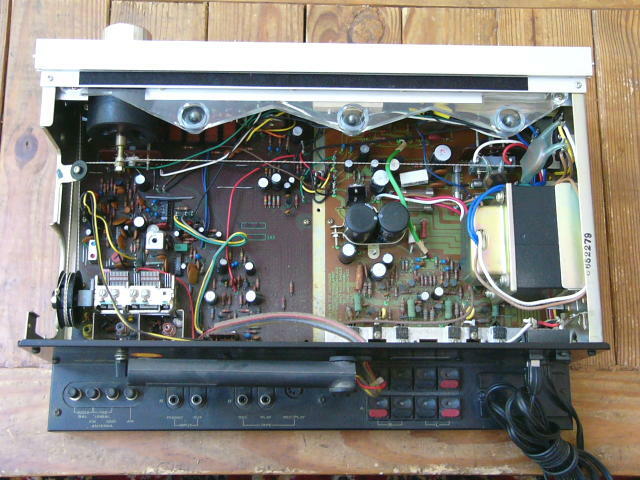 Hmm, that Kenwood integrated unit reminds me of mine. I need to get it out and get it to working. I bet it'd be fun to listen to. 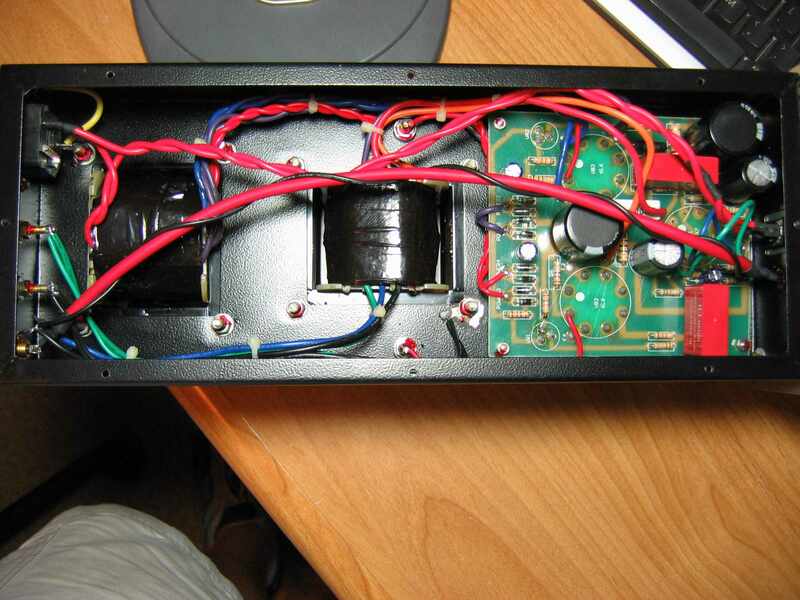 The KA-7100's not a bad amp. 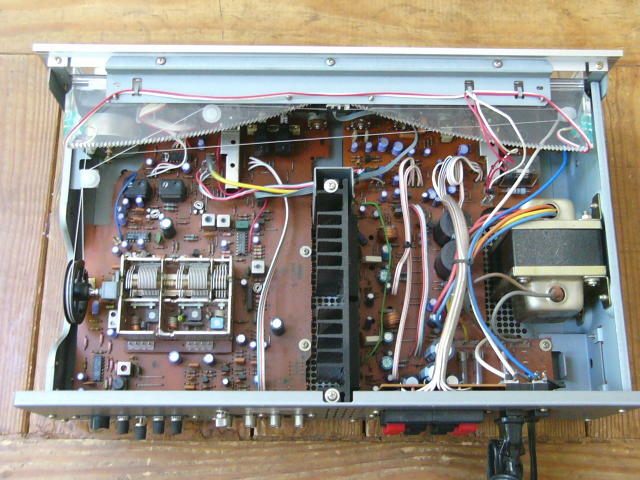 It has separate windings in the PT for the two channels (thus the 4 P/S electrolytics). I found ours on the swap pile at our town dump in very good cosmetic and operating condition. My son's been using it in his room for several years, although he opted to take a small tube amp to college last week when he matriculated. I forgot the model number on mine, but it's not that one. I picked it up from Goodwill for $10. Classic receiver. Tons of power and headroom. 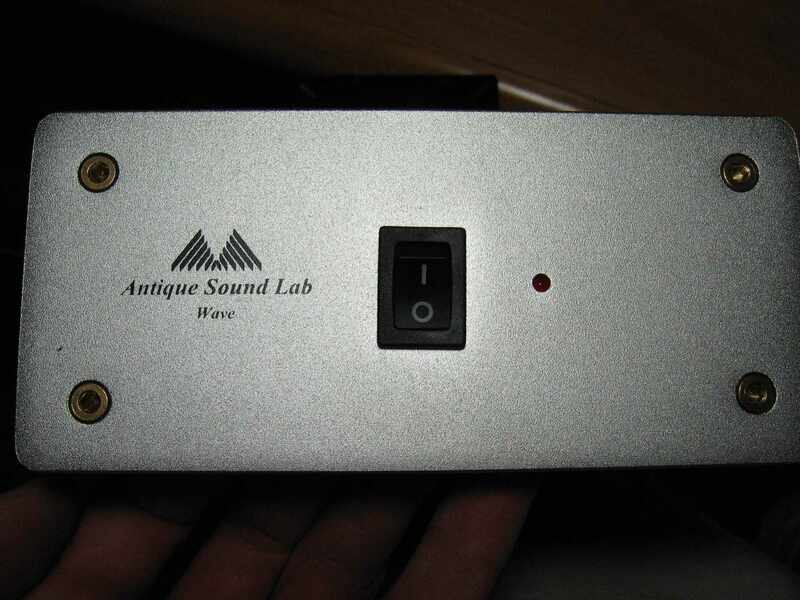 This really sounded great for a receiver and had plenty of power. Clean all the way. O.O3 THD @ 8ohms. 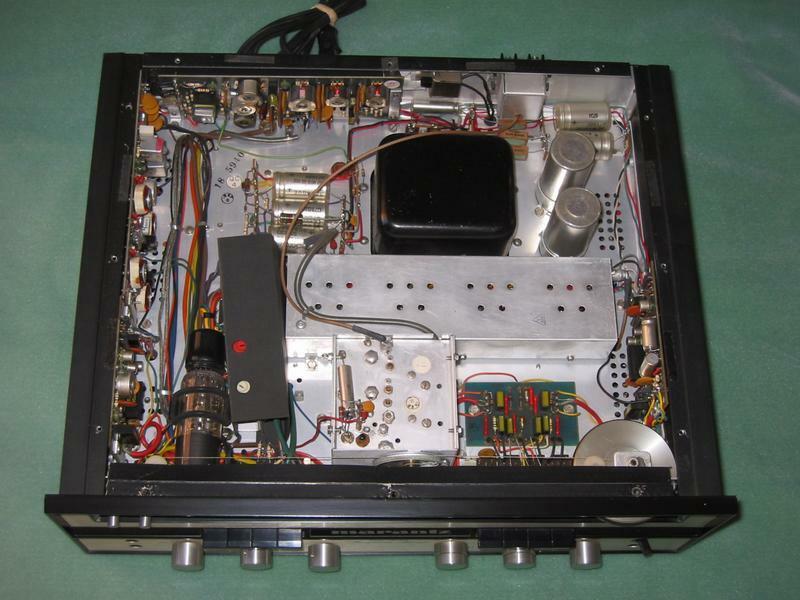 600 wpc dynamic power. 1.4 kw dynamic power @ 4 ohms! Put another 2200A or 2200 PE with this baby via pre-outs and you will be thumpin! 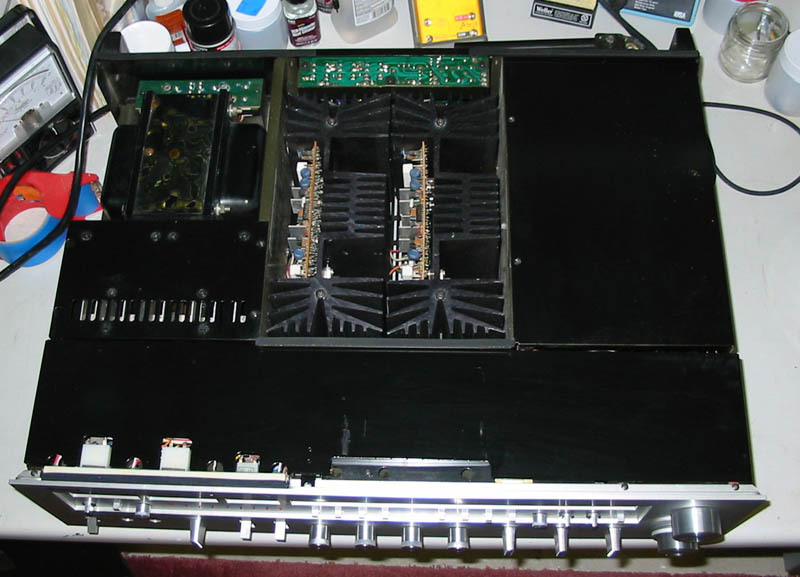 Will be replaced by a pair (as seen above) of two Anthem 2 SE's. YEE HAW!!!!!!!! :) Although it will be missed. 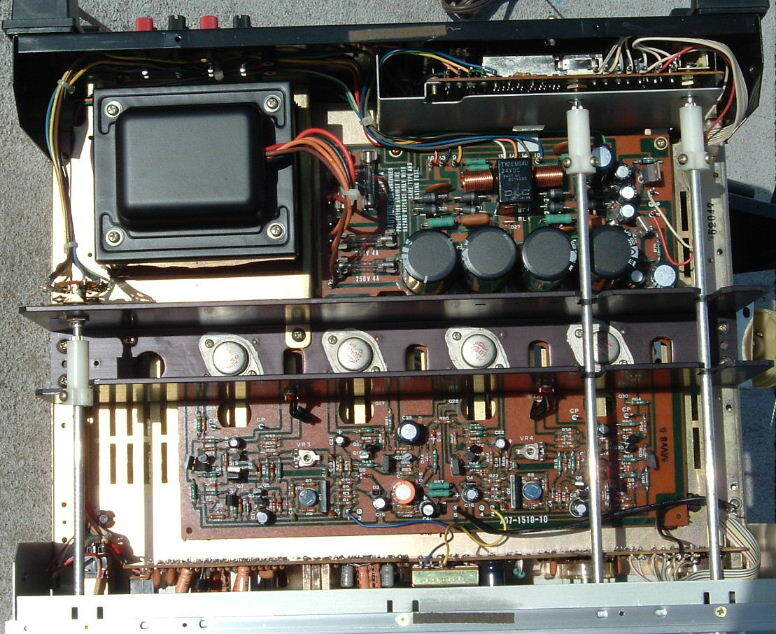 This is from the heyday of NAD designs. May be up for grabs in the near future. 34 pounds. Link to spec and photo sheet. http://207.228.230.231/info/NAD_7600.pdf For anyone that cares, NAD has updated the look and functions of their site a bit. 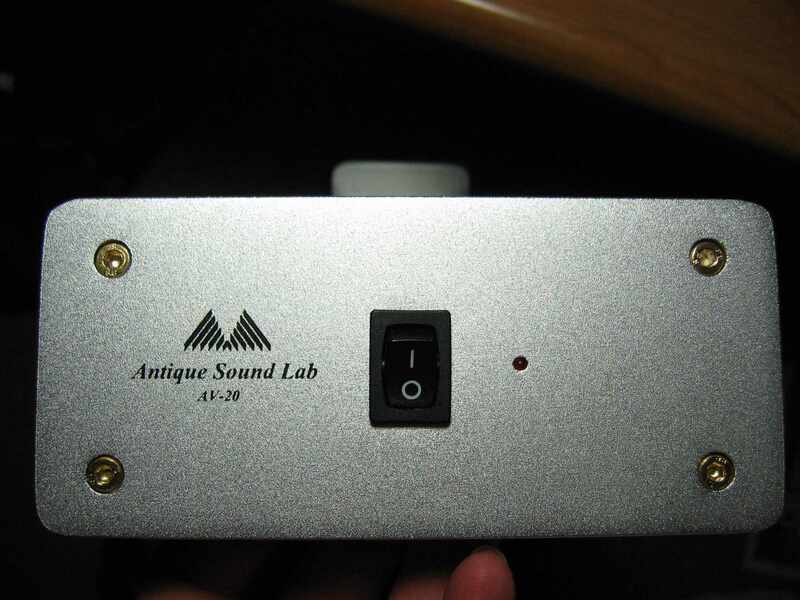 Uses NAD 2200A amp section. Beast. I don't know much of what I'm looking at, so any dissections are welcome. Doro, I think all would agree this thread was an awesome call. Well done. Here are some pics I just took of my ASL monoblocks while I had them apart. Looks like it would make a nice tuner if nothing else. Looks nice, not to impressed by its tuner but maybe you don't use it that way. Ok to my honest some of yous have nicer gear then I have so just not sure if you liked my options about gear. I can say some pictures are indeed an eye opener for me, and therefor placed some names on a short list. some more little guys from the archives at home. 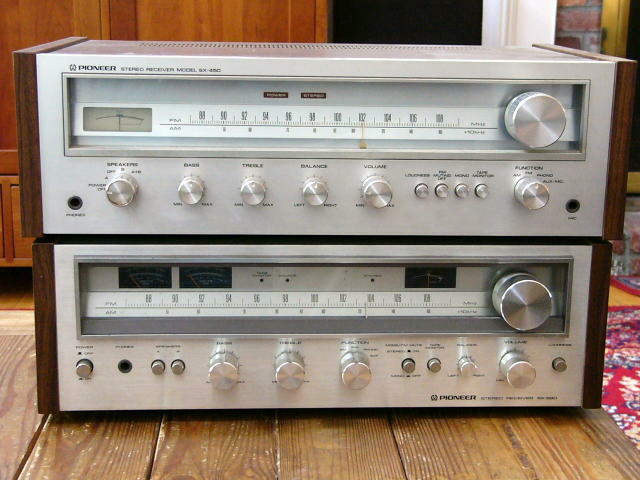 These were also both dump finds: Pioneer SX-450 and SX-580. Each was the 'entry level' of its model year, one model cycle apart. Both actually decent little low-powered receivers. 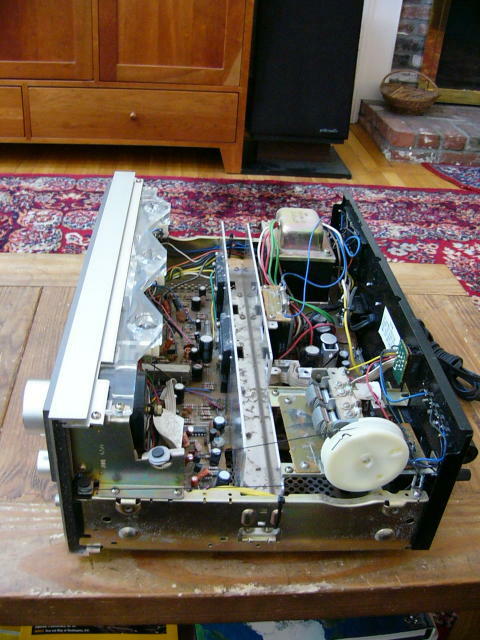 Sadly the 450 had one dead channel & I didn't bother to troubleshoot it. 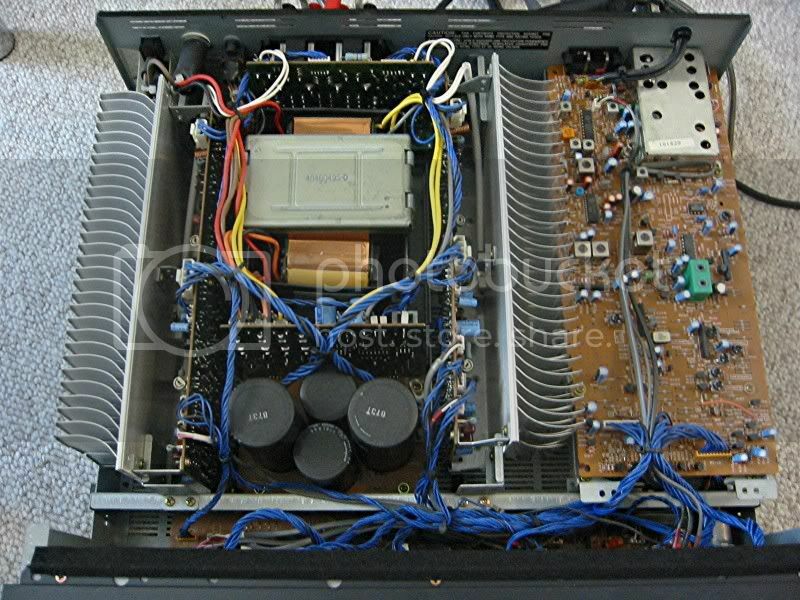 Univera - Yes, that's a very nice amplifier. 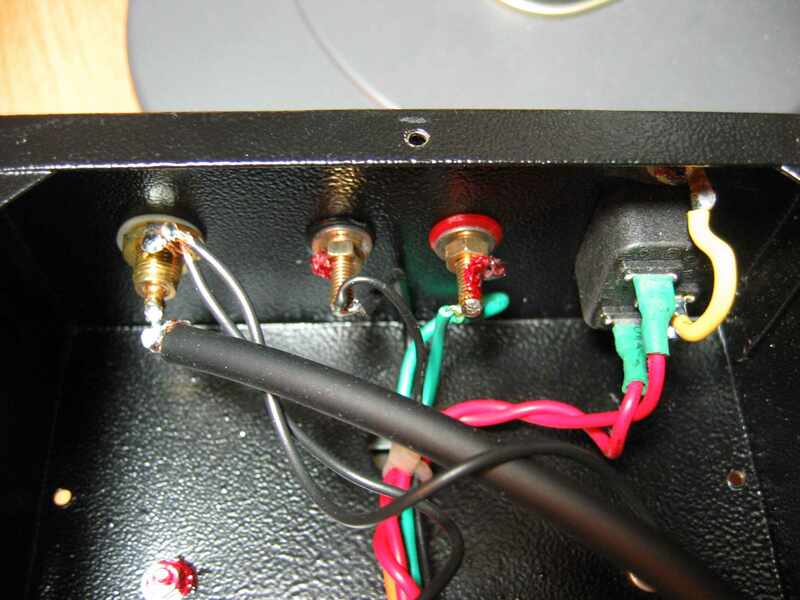 It's a classic example of why a non-toroid transformer can be extremely effective. The toroid is a better winding and much more flexible, but it doesn't mean it's the best. 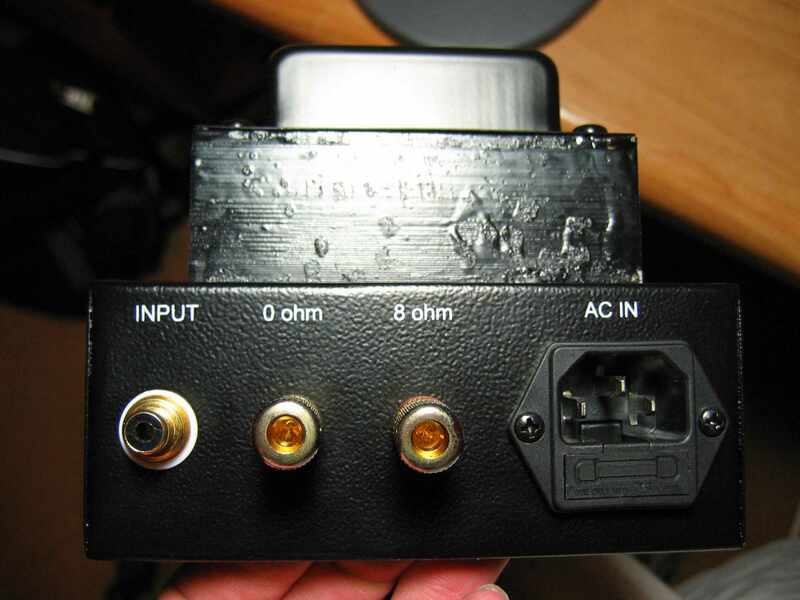 The CR-240 is a perfectly decent little receiver, as was its entry-level predecessor, the CR-220. Tell me more, i.e. explain the difference/benefits/of a torroid vs. whatever is in this retro beast. You can't just make a statement without "esplanin." BTW, when I said most would agree this was an awesome thread, I was referring to you starting the whole ****/guts deal, not tooting my horn for posting a few pics! 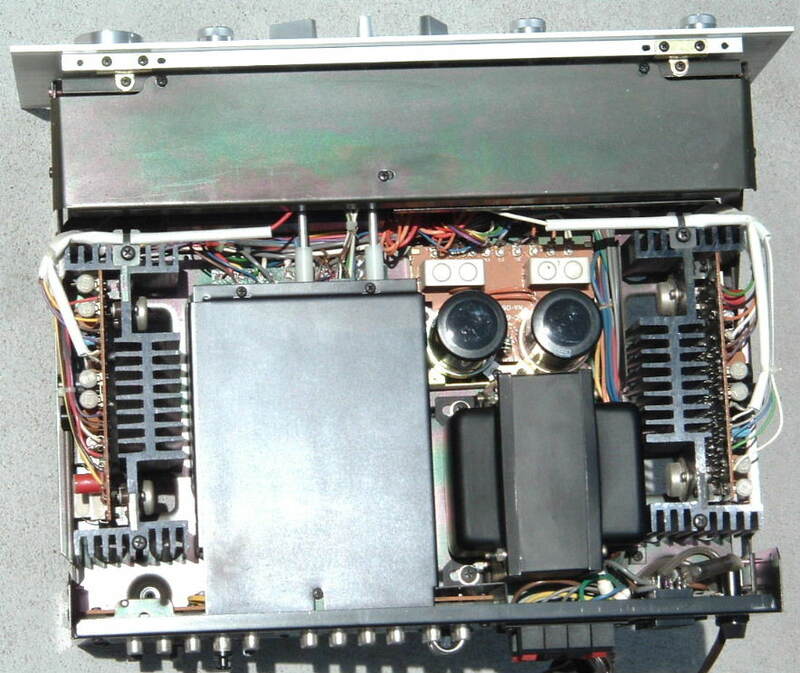 Nonetheless, the 7600 is a badass. My Sony TA-F333ESL, Not your average Sony junk. Very much the same as the F808ES that DarqueKnight posted earlier, but I like my wood side panels, they matchy my ST-S550ES tuner! DarqueKnight, how do you deal with the heat that your 808 makes? These things are so biased to class A, that they put out a ton of heat. 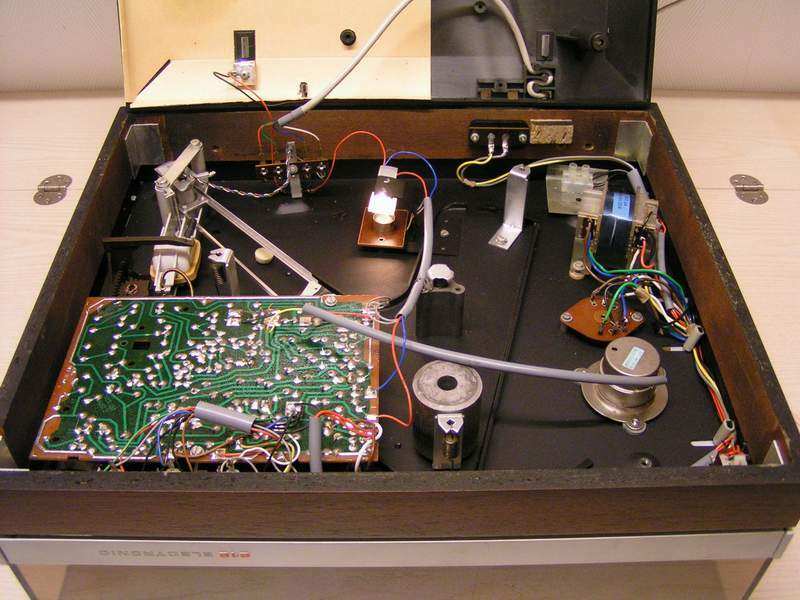 Drop down panel hides the seldom used controls. **** shot, notice pre-outs, worldwide voltage too. Rarely seen underbelly shot. Easy access if/when repair is needed. Me like MOSFETs! Notice the thick G-base that everything is mounted too. G for Gibralter, the base is a non-magnetic composite of polyester, carbon, and calcium. Like a Rock. The base alone probably weighs 15-20 lbs. And finally the guts, twin 18,000uF caps, plus twin 8200uF caps. 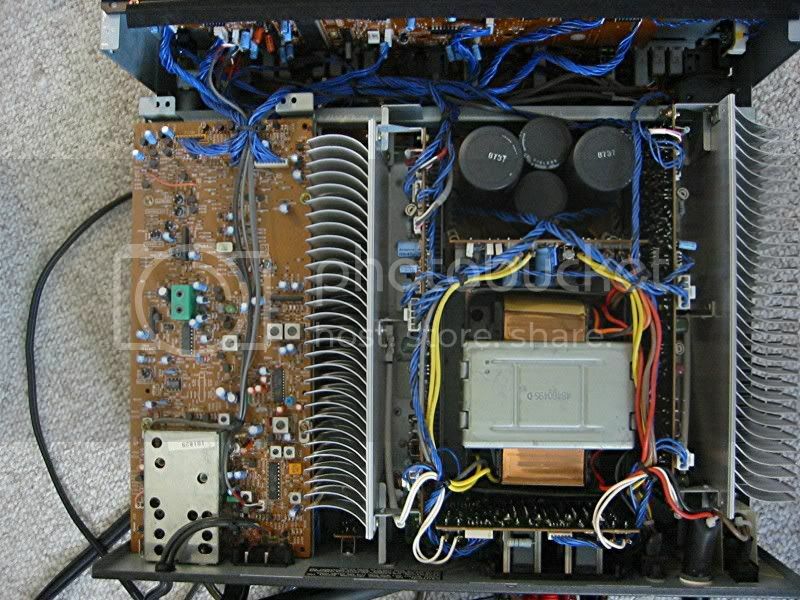 That is for Sony's STD, (Spontaneous Twin Drive) which has separeate power supplies for the volatge amps (Class-A) and the Power Amp (Class-B). 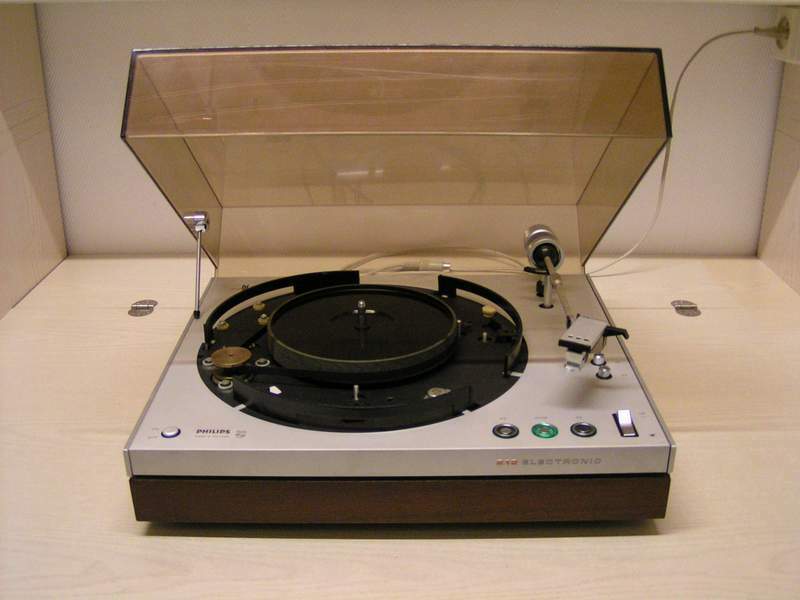 Sony still cared about vinyl at this time. 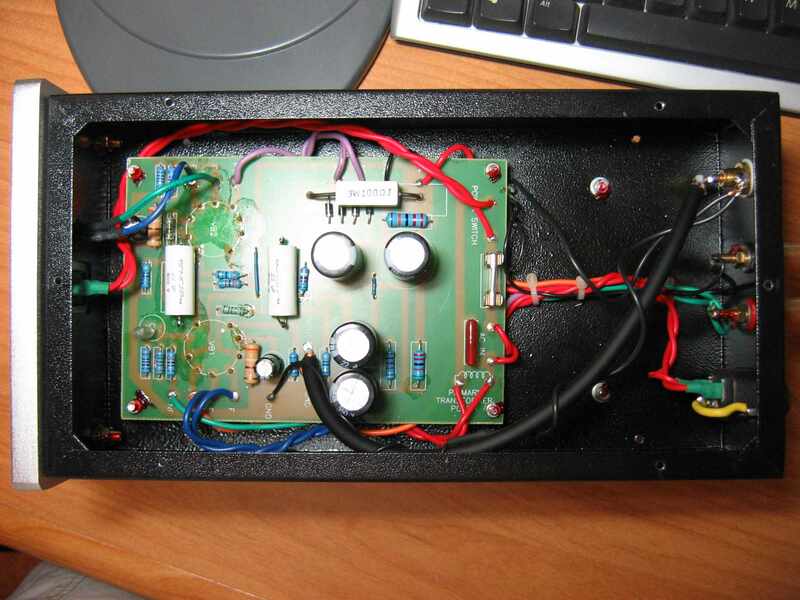 This is the phono board. Very nice compared to what most were offering at the time. MM or MC w/adjustable cartridge load. This amp is going to be with me for a long time. Bill, nice work. I can see you've done these types of shots before. . . very seductive. Start fully dressed with a nice frontal shot and a write-up, then slowly undress and capture pics from different angles, all-the-while continuing to storyboard the whole thing. 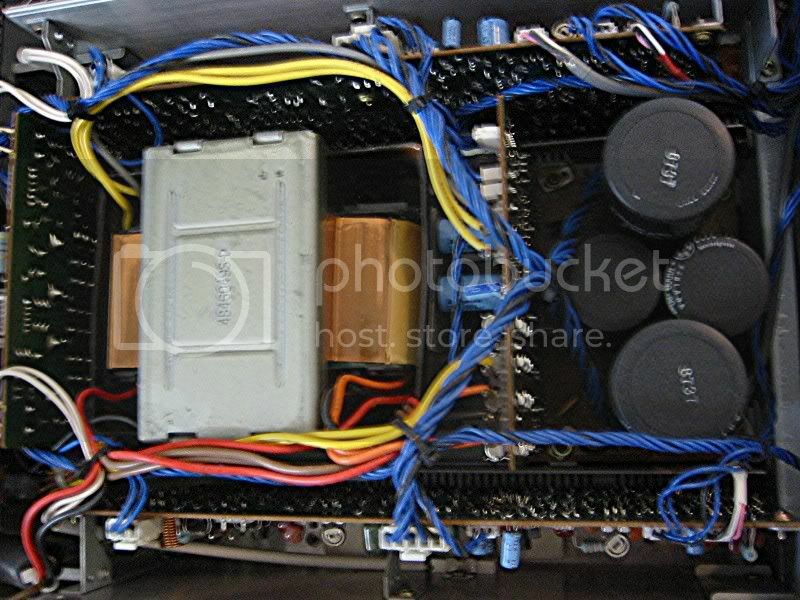 I took all the internal shots the first night I received this amp (a rainy night in June). It had 15+ years of dust/grime inside, so I did a full in/out cleaning of all the boards, pots, switches, etc. Lots of Deoxit and ProGold. Adjusted the Bias and DC offest too. No photos until I had a clean subject. She cleaned up pretty well. Narry a scratch on the front panel. The fully dressed photos were shot a few days later with the use of a tripod and no flash. God, I'm such a dork. Nice looking Sony Bill, surprised me a little.